Edwin has a personal philosophy – “I innovate and provide solutions NOT problems”. He has spent over 15 years working in the Pacific region, specialising in ICTs and GIS, and offering his skills and talents to support the building of solutions across the Pacific. He has been a member of the PICISOC Board in the past, during which time he worked with ISOC on the Sphere Project – encouraging chapter engagement. Edwin worked with former Board members, Franck Martin and the late Les Allinson on IT projects in Tonga and Samoa at a time when PICISOC Board members themselves were involved in IT development in the Pacific at the implementation level. Edwin is currently working as an ICT and GIS specialist in Fiji, but he has also worked in Papua New Guinea, the Solomon Islands, as well as Tonga and Samoa. While he worked for SOPAC he also did some work for the Cook Islands, Kiribati, Nauru and Tuvalu. He comes with a wealth of knowledge and experience about the needs of IT users across the Pacific. He has also been an IT tutor-trainer at USP. His practical skills and experience cover systems development, office automation, web design and programming, and among a host of other things, network administration using Windows Servers but also a strong advocate for Linux and FOSS. 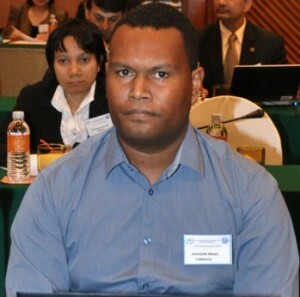 He is a founding member of the Pacific Islands Chapter of the Open Source Geospatial Foundation (OSGeo). Because of his experience in the Pacific region, Edwin Liava’a would be a major asset to the PICISOC Board. I believe PICISOC is an important regional organisation, with a wide range of members who support the development of the Internet for the Pacific Island region, and I would be honoured to continue to support PICISOC as a Board member, if reelected. I am currently Collaboration and Community Lead at InternetNZ, which manages the New Zealand ccTLD and is a charity which works with and for the Internet Community to promote the Internet and its benefits and protect its potential, including through hosting the NZ Internet Governance Forum initiative called NetHui. I am also a Founder of Oceania Women’s Network Satellite, a company recently set up to support the development of the Internet in Oceania, which is focused on investing in new technologies, research and development and supporting innovation to enable all communities in our region to benefit from the Internet. I have recently submitted my PhD thesis on Pacific Island regional ICT policy which was completed through the Centre for Communication and Social Change at the University of Queensland. I have been involved in Pacific Island internet research, training and community projects since 2003, when working for the NZ UNESCO National Commission and completing a Masters in Communications at Victoria University on Pacific Island Telecentres. I have been serving on the PICISOC Board since 2010, as Secretary for the Board and recently Vice-chair Policy, and if reelected to the Board, I would like to continue to support members on policy and governance around Internet issues. So much is happening locally, nationally, regionally and internationally as the Internet grows and develops, having a network to share and engage with each other as a region is a vital role played by PICISOC, which I would be proud to support as a part of the Board. Jackson Miake is the ICT Program Manager at the Office of the Government Chief Information Officer under Prime Minister’s Office for the Government of the Republic of Vanuatu. His role is to develop and implement government policies on ICTs and Telecommunications sector, and has been in the role for 12 months. Prior to taking up this role, he spent 9 years in the private and public sector working as an ICT Analyst and Network Administrator. Jackson is an active member of PICISOC and advocates for a multi-stakeholder model approach to have the private sector, industry, civil society and governments work together to connect the Pacific Islands to the internet and PICISOC is the start! He attended the EuroSSIG Summer School on Internet Governance in August 2013 at Meissen, Germany which will be very valuable to the Pacific and PICISOC. He holds a BSc(Computer Science) from Massey University, NZ and is working towards completing a MBA at the end of 2013. Maureen Hilyard is currently the Board Chair of PICISOC (2012-2014) and was Vice Chair (2010-2011); A member of the ICANN At Large Advisory Committee (ALAC); the ALAC Leadership Team and the APRALO Executive. She is the ALAC Liaison to the ccNSO; currently on several working groups associated with ALAC. 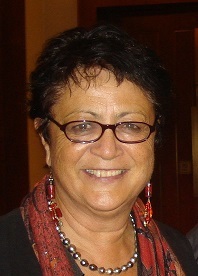 In the Cook Islands, she founded the Cook Islands Internet Action Group which advocates for internet policies and infrastructure development and is the Cook Islands UNESCO Commissioner for Information and Communication. In June, 2014, was selected as one of ten Pacific participants to attend a Geneva Diplomacy Programme organised by the Diplo Foundation. She has participated in several regional and global IGFs. 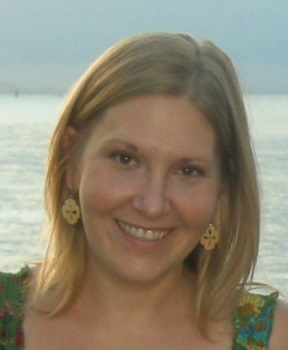 She is an ex-teacher and also holds a Master of Management degree from Massey University, NZ. As a day job she has recently been appointed as the Australian Aid-funded Project Manager for the Gender Equality and Women’s Empowerment Project with the Ministry of Internal Affairs. She formerly project managed two UNDP projects – eGovernment in the Office of the Prime Minister and Persistent Organic Pollutants with the National Environment Service. Was a Development Programme Coordinator with the NZ High Commission on Rarotonga before becoming an independent consultant. 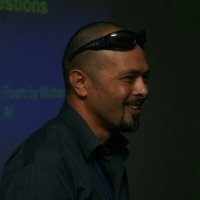 Was an eLearning Coordinator for USP; a project manager for a social services website and associated social media activities and training; coordinator for an outer island telecentre project; and… co-project managed a canoe building project on behalf of the Cook Islands Canoeing Association. Other community activities include being Past-President of the Rotary Club of Rarotonga and past VP of the Pan Pacific South East Asia Women’s Association. “Patrick Queet is the General Manager for the Pacific Computer Emergency Response Team (PACCERT). The PacCERT is a not-for-profit CSIRT operating out of the University of the South Pacific in Suva, Fiji. The PACCERT’s mission is to facilitate, coordinate and monitor activities related to cyber security and to provide timely and effective responses to cyber security incidents and threats in the Pacific Region. 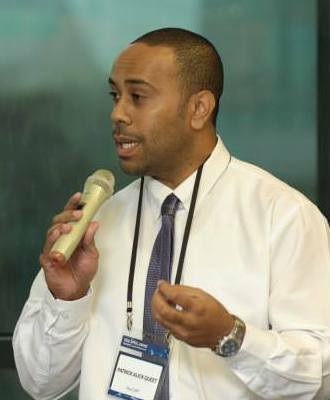 Prior to taking up leadership of the PACCERT in 2012, Mr Queet spent 6 years with the Financial Intelligence Unit of the Reserve Bank of Fiji. 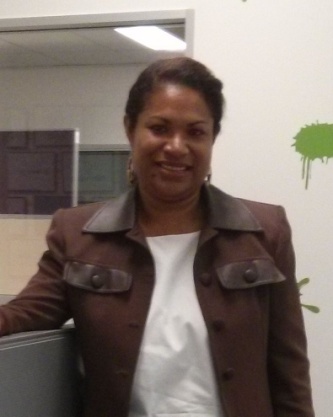 Priscilla Kevin is a natural ICT entrepreneur and is the current director and owner of her own company In4net Ltd – an Enterprise Resource Planning (ERP) and ICT Management Consulting start-up firm in Papua New Guinea. 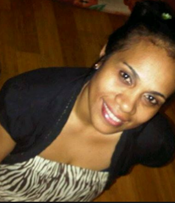 Priscilla has over 14 years ICT industry having worked as a consultant in ERP, an information Systems and Network Administrator for Post PNG Ltd and later as the Manager Information Systems for Daltron Ltd before leaving to start up her own technology firm. Priscilla currently supports large enterprises in her firm and has a range of technical and business skills in Database systems, Server administration and Networking, customer relationship management, Point Of Sale, Assets Management, Procurement and Inventory Management, Microsoft and Linux systems, Messaging, Virtualisation, Disaster Recovery Planning and Cloud technology. Priscilla has deployed real time systems such as Electronic Funds Transfers for direct creditors banking for her clients, saving paper, printing costs and time and developing automated procurement systems to speed up approval and acquisitions within organisations. Priscilla is passionate about her profession and the Industry. She is a current pioneer to the PNG ICT Cluster initiative in the Pacific (visit www.pngictcluster.com) which was applauded as a successful pilot cluster at the European Union PIPSO closing workshop in Fiji. Her passionate spirit and that of her colleagues has inspired more collaboration at country level, regional and global. Priscilla has extensive networking within PNG’s private sector, government and academia through her line of work and her great people skills, ethics and personality. Her work space includes data mining and business analytics, financial management reporting and automation, and integrated enterprise solutions and workflows. She has passion to build technology solutions for the local market, the region and global. Priscilla’s passion is to lead the pathway for technologists in her country and the region to contribute positively to their communities through effective leadership and legislation and the right use of affordable simple technology and the internet. Priscilla holds a Bachelor’s Degree in Science and Computer Science with Merit from the Papua New Guinea University of Technology, Lae. She is ranked as a top computer science student in her year and came in 11th place out of a 100+ student taking engineering streams of studies. Priscilla holds several technology certifications in systems and database and is a member of the PNG Business Council, and an executive of the PNG Computer Society. Winifred Kula Amini is enthusiastic about technology, entrepreneurship and innovation. She has over 15 years of Information Technology experience in business analysis, design and development of business processes and system solutions. She is also currently the Vice President of the PNG Computer Society and also committee member for the PNG Information and Communication Technology (ICT) Cluster. With the experience from the APEC Start-up Acceleration Leadership Summit in 2012 she believes that there is potential in the software development industry in PNG. Software development is exciting and is yet to be nurtured. Through her role in the PNG Computer Society and the PNG ICT Cluster more can be done for small startup companies and ICT Professionals to accelerate Research and Development projects especially in the fields of Internet, Mobile and Software engineering. As part of the PNG ICT Cluster’s vision to be the Silicon Valley of the Pacific, one of the strategies is to establish an Internet Exchange Point (IXP). PNG NICTA is currently in consultations to have this implemented, but currently all internet traffic in PNG, even local traffic, goes offshore from PNG and then re-routed back. This adds to the high expense of internet provision and is also cause of the high congestion of the international gateway bandwidth (Tiare). Her previous role was as the Project Manager for PNGs whole-of-government approach to e-Government called the Integrated Government Information System (IGIS) Project. The IGIS Network is the largest e-government network in the country and is a multi-million dollar project which ended in June 2014. She holds a Masters in Business majoring in entrepreneurship from the University of Queensland, Australia and a Bachelor of Science in Computer Science (With Merit) from the Papua New Guinea University of Technology, Lae.